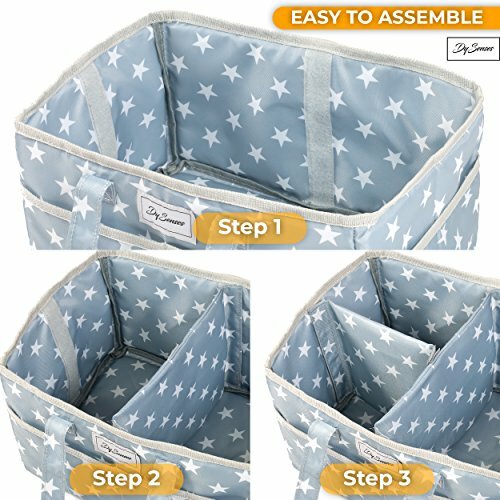 BE MORE ORGANIZED - Whether you’re a busy mother or a professional nanny who deals with baby stuff, this Caddy Nursery is all you need! Dysenses Baby Diaper Storage Caddy will help you to organize your baby products easier than you thought possible, thanks to its adjustable dividers, sturdy and durable. 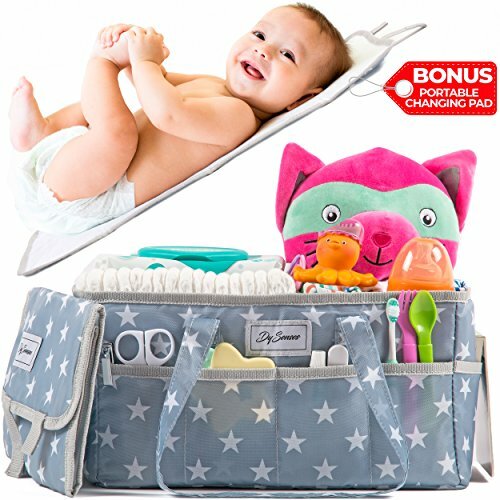 MULTI-PURPOSE CADDY – Practical Nursery Caddy Organizer is perfect as a car organizer as well for traveling. Can be used for Baby Storage Caddy as baby diapers, wipes, lotion, toys, medicine, bath items easy to find baby item. Also, Diaper Caddy can be used as an art craft Baby Caddy Organizer, spa bag or makeup and more. This high-quality material and lightweight bag is what you need for all your nursery stuff. 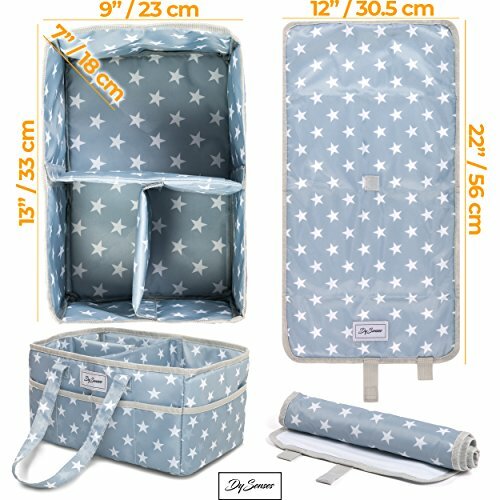 REMOVABLE DIVIDERS – Baby Diaper Caddy with size 13x9x7 inches includes 2 adjustable dividers for maximum versatility, so you can create 3 compartments. Also, you can remove the inserts for your needs. Our Diaper Bag Organizer is designed with 10 outer pockets as well (8 small and 2 large). 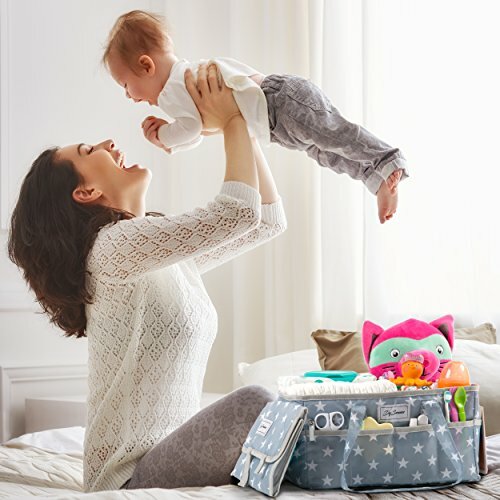 CHANGING PAD INCLUDED – Because we know that a mother needs a lot of baby stuff, Dysenses Baby Diaper Storage Caddy comes with a Portable Changing Pad, for an easier life. This Diaper Changing Mat helps you to be fully equipped to change your baby anywhere without unnecessary hassle and time loss. Makes a superb set that you could keep for yourself or offer as a Shower Gift.